No matter how busy we are each week, chances are high that laundry is the one routine task that usually gets done. After all, it's hard to ignore a pile of soiled clothing when you're fresh out of workout shorts or your kids don't have a clean pair of socks to wear to school. But few things are more frustrating on laundry day than taking freshly washed gym clothes or sports uniforms out of the washer - only to find smelly odors remain. 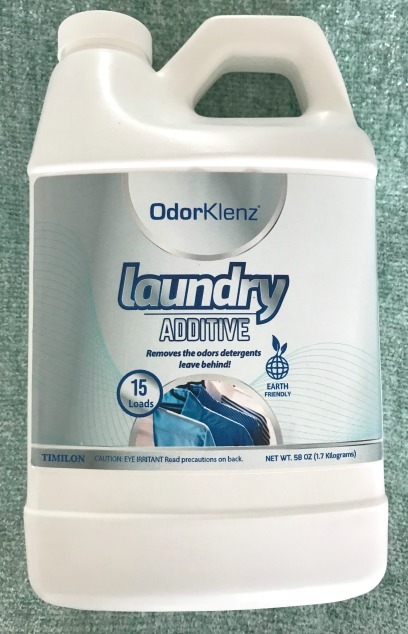 OdorKlenz is a laundry liquid that removes sweat and body odor, set-in urine from toddler bedsheets - even grandma's perfume lingering on your favorite shirt. But does it really work? Can it remove the lingering scent of laundry detergent on my teenage son's clothes that he so dislikes? Get rid of the pet odor on the throw blanket my cat loves to call home? I put Odorklenz Laundry Additive to the test. Into the washing machine went the loads with their various sweaty, pet odors. And out came clean laundry that smelled, well, like nothing. Not pets, not laundry detergent - simply no scent at all. For those of us who don't like the smell of detergent on our clothes (not to mention lingering pet or sweaty odors) that was a hallelujah moment. It actually worked! Then, of course, I wanted to know exactly how this fabric odor remover worked. So I did some research. Here's what I found. how odorklenz laundry additive works. Normal detergents use fragrances and other ingredients to mask the odors you think you're washing out. Odorklenz provides complete odor elimination through a blend of naturally derived, safe, and effective elements that completely eliminate odors instead of masking them with other smells. I added 1/2 cup Odorklenz to each load, along with my usual laundry detergent. For HE and front load washers like mine, you add it long with the detergent in the same slot. 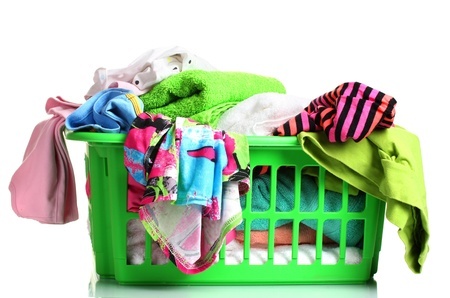 For top load washers, first partially fill the tub with water, then add your regular detergent followed by the Odorklenz, and then the clothing last as the water continues to fill. It's safe for use on most fabrics - including cotton, delicates, nylon, polyester, spandex, washable lace and rayon, washable wool, and all other washable fabrics. It shouldn't be used with bleach, or on dry-clean-only fabrics. Odorklenz is a bit spendy at $15 t0 $25 per bottle (depending on size). Yes, it is a little more than normal detergent, but this is not your average laundry product. You can use it on your tougher loads, and a bottle could easily last you a few months. Plus, you can get 20 percent off with my coupon code: COFH20. Give it a try - and please let me know what you think of it!